(Fort Lauderdale, FL) – NSU Art Museum Fort Lauderdale is pleased to announce that it is extending Frank Stella: Experiment and Change through July 29, 2018. The groundbreaking exhibition, which has received wide public and critical acclaim, spans the legendary artist’s 60-year career from the late 1950s to the present and is composed of over 300 paintings, relief sculptures and drawings that offer insight into Stella’s trajectory from minimalism to maximalism. 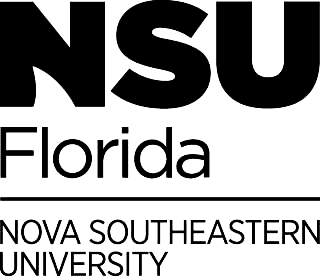 The exhibition is curated by NSU Art Museum Director and Chief Curator, Bonnie Clearwater, and opened in November 2017 as the kick-off to the Museum’s 60th Anniversary Year Celebration presented by AutoNation. Juxtaposing works from various periods of Stella’s career, the exhibition reveals his aesthetic development and also explores his “working archive” that contains material never exhibited before, such as notes, sketches and maquettes that shed light on his growth as an artist. His diverse interests include art history, architecture, new materials (fluorescent pigment, carbon fiber, titanium, et al.) and computer-aided modeling for rapid prototyping. His preparatory studies show the ideas in his work that led to a notion about the enlargement of pictorial space. Frank Stella: Experiment and Change is presented by Dr. David and Linda Frankel & S. Donald Sussman and Michelle Howland; Four Seasons Private Residences Fort Lauderdale and The Surf Club. Additional support is provided by Wege Foundation, Vontobel Swiss Wealth Advisors AG, Sandra Muss and the David and Francie Horvitz Family Foundation.